Do you want to a hide folder in your phone? Have you ever searched for a software to hide folders on your phone.Well the answer is Yes.Because all users want privacy.Sometimes you want to keep your private photos away from public and are not able to do that because you are not having a Smartphone and if you wish to do this follow these steps.This is a very easy technique and will take just seconds depending upon your speed.This trick can be used for old Nokia,Samsung,Motorola,LG or any other company phones that supports Java. 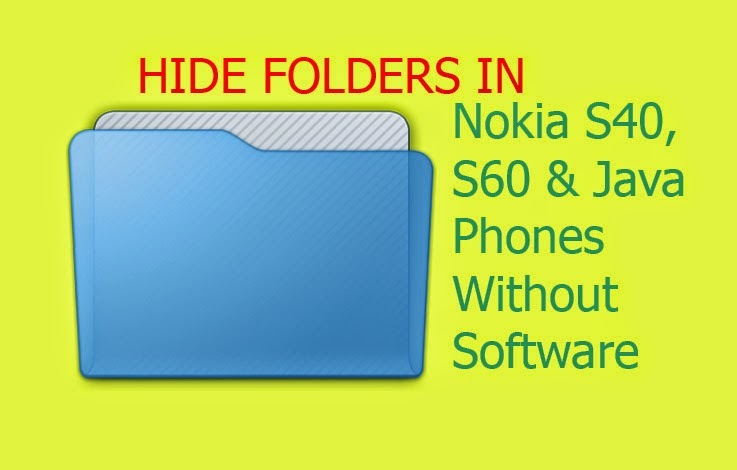 Step 1: Create a new folder or you can use an existing folder that you want to hide. That's it.Your Folder techdio.jad is now hidden. If you want to make your folder visible again just delete the folder techdio.jar or rename the folder techdio.jar.